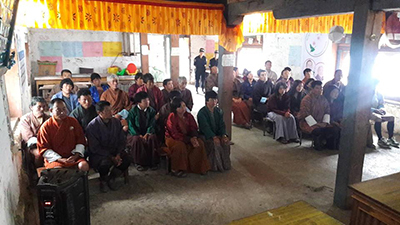 Some 30 women showed up at a common forum for Bartsham-Shongphu constituency in Jangsheri village, Trashigang. The number is almost two times more than that of male attendees. Local leaders say usually men dominate such meetings, but this time it’s the other way round. 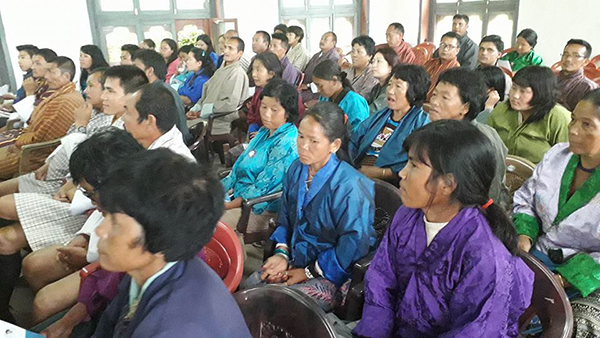 “It’s the men who have been attending all such meetings till now but now I feel it’s important for the women to attend as well,” Dorji Lham from Bidoong said. Another woman from Bidoong, Kinzang, too, said it is important for women to step out of the confines of their homes and take part in such meetings. A similar trend is being observed in Wangdue Phodrang as well. Women presence at common forums has improved substantially in Dakar Gewog. For instance, a common forum in Athang Thaedtsho saw more women attendees than men. The gewog leaders attribute the trend to women becoming more aware of gender equality and their rights and roles in elections. One of the women who came to attend the common forum in Athang Thaedtsho said encouraging women to attend such meetings is important for women empowerment. Darkar Gup said access to road plays a key role in enabling women to take part in such meetings. “In the past, with limited road access, women were deemed not fit for long distance travel that requires night halts. But now with easy road access, getting to the meeting venues is not a problem,” the Gup said. He added the women in his community feel the men do not share what they heard or learned at the meetings with their family members. “That’s why they have decided to go to the meetings instead of sending the men in their family,” the Gup said. The Mangmi of Darkar Gewog, Sonam Lhamo, said the credit goes to the government and CSOs like BNEW. “Concerted efforts are being made to empower and encourage women to take an active part in the country’s political process, and to promote gender equality in all spheres,” Mangmi Sonam Lhamo said.